The strength of metal in a compact design. This durable, all-metal badge rack is an asset you’ll count on for years to come. 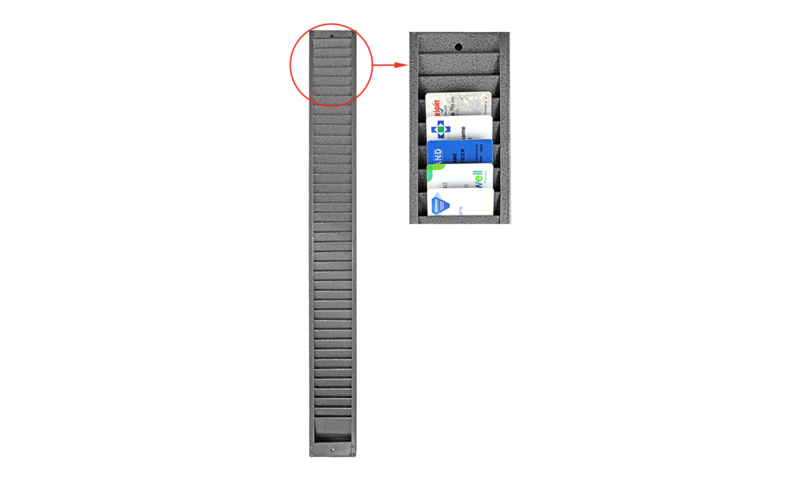 With an easy-to-clean, rust-resistant surface and 40 vertical slots, there’s no easier way to organize your employee vertical badges in a minimal amount of space. 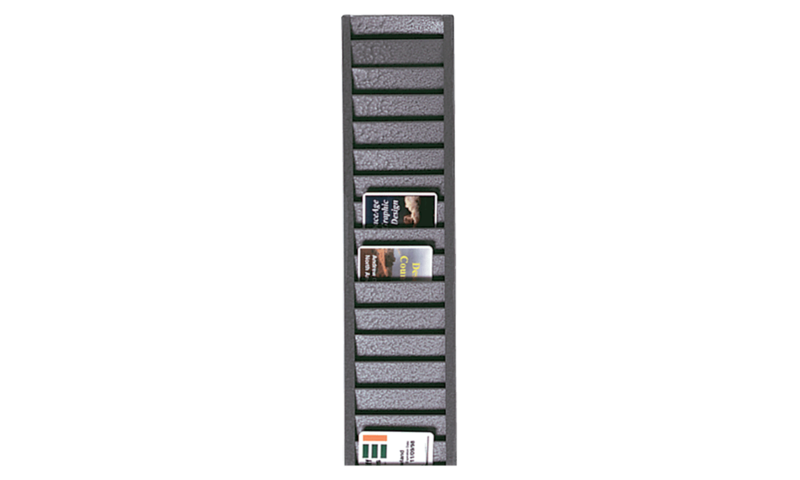 This all-metal rack will help you store ID cards and badges in a vertical orientation. Perfect for employee time cards or as an ID card display/storage rack! This metal ID badge rack holds up to 40 cards in a vertical position (portrait).